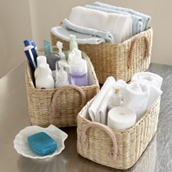 Bathrooms can quickly become untidy and unorganised with various body washes, shampoo bottles, beauty products and hygiene products taking up shelf space and shower space. 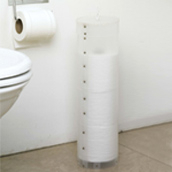 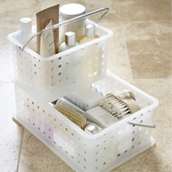 Transform your bathroom today with our incredible range of bathroom storage solutions. 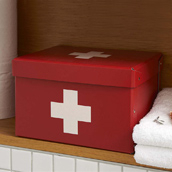 Choose from bathroom storage baskets, shower caddies, bathroom tidies, first aid boxes to soap dishes and fun toothbrush caddies for children, plus loads more.